Sweet! This one doesn’t come around often, and we’ve found it in several places! Rachael Ray Every Day is a food and cooking magazine for women that features the television personality herself, Rachael Ray. This foodie magazine includes fun articles and stories on travel, parties and entertaining and thousands of recipes for you to try out at home. Compare to $50 cover price per year on Amazon.com! NOTE: You will not receive a bill for this, and you do NOT need to enter a credit card. 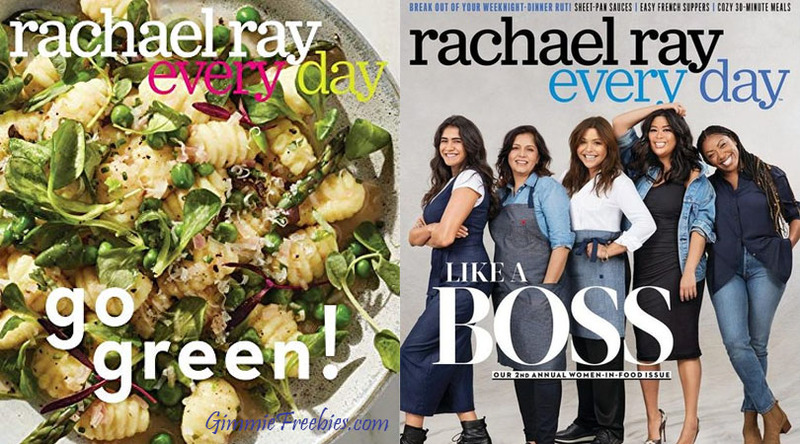 Now, go here to claim your Rachael Ray Magazine – if you already get it, be sure to use the exact same name and address so you get two full years instead of two magazines every month. And, add another year of Free Rachael Ray here!